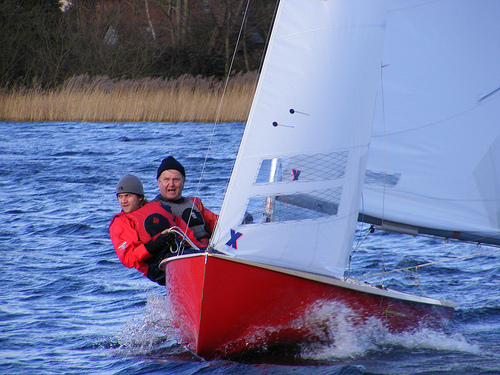 The BOD Fleet is invited to join legendary sailmaker and multi-class dinghy champion Mike McNamara for a presentation on sail trim and racing tactics at the Walton and Frinton Yacht Club on Friday 27 March. The talk is scheduled to start at 8pm and tickets will cost £5 per head. The club restaurant will be open and Simon Hipkin would be delighted to welcome any BOD sailors who wish to go over early and eat first to make a night of it. If you haven’t had the pleasure of listening to Mike speak before we can assure you that he is both an excellent speaker and very funny, so it will definitely be an informative and most entertaining evening. With the start of the sailing season just around the corner and competition in the BOD Fleet hotter than ever this could be the perfect opportunity to learn a few new tricks! To reserve your tickets and book for supper please contact Simon Hipkin on Email simonhipkinboats@gmail.com or Tel 07415 280213.